RAW HOLLYWOOD : NEW VIDEO WITH LIL WAYNE, TY DOLLA $IGN, LOGIC, & WIZ KHALIFA TITLED "SUCKER FOR PAIN"
NEW VIDEO WITH LIL WAYNE, TY DOLLA $IGN, LOGIC, & WIZ KHALIFA TITLED "SUCKER FOR PAIN"
Now that is a hell of a line up for "Sucker For Pain", Wiz Khalifa, Ty Dolla $ign, Imagine Dragons, Lil Wayne, X Ambassadors, and Logic all teamed up to drop off some dope music to the fans. This song comes from the soundtrack for the movie Suicide Squad, which will come out late this summer on August 5th. The soundtrack for this movie is going to have some heavy hitters featured on the tracks as you can see. There will also be appearances from Rick Ross, Kehlani, Eminem, and Kevin Gates to name a few. But let's get back to "Sucker For Pain" and this video. 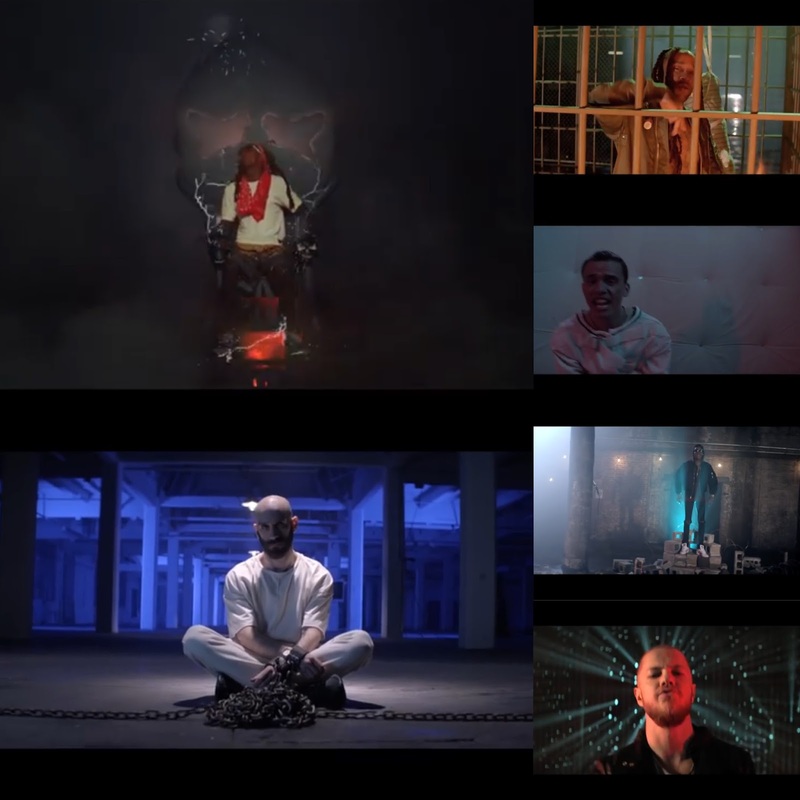 The video shows each artist in different scenes, many of which are pretty crazy, however, the scenes relate to the movie so that is a good play off. It was pretty dope to see the different genres of music collab on this song. I mean, how often do you hear tracks with rockers, rappers, and singers (I consider Ty Dolla $ign a singer, let me live).... and a hot one at that. There is said to also be more unusual collaborations on the soundtrack as well. This movie is highly anticipated and I'm sure this song just added fuel to the fire. Are you a DC Comics fan waiting on the movie to come out? Who is your favorite villain? Watch the video below, you may get some clues about the movie!